Tune in! I’ll be on the Radio! Hey everyone! I’ll be guest hosting Margarita Azucar this Friday on Radio Valencia from noon to 2:00 PM. 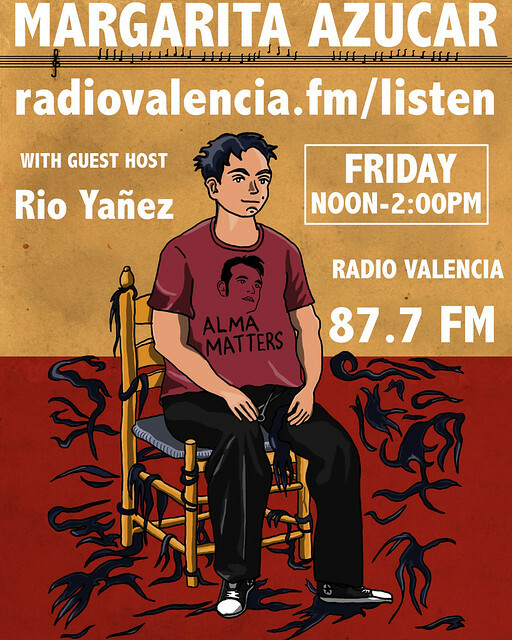 You can listen live at radiovalencia.fm/listen or if you’re in San Francisco at 87.7FM. I’m filling in for regular host Ms. Margarita and I’ll be playing music from my collection to delight your ears. It’ll be everything from Japanese hip-hop throwbacks to tracks from the new Ceci Bastida album. Hope ya dig it! represent mi TijuanaNO! voice beauty — go ceci!!! !